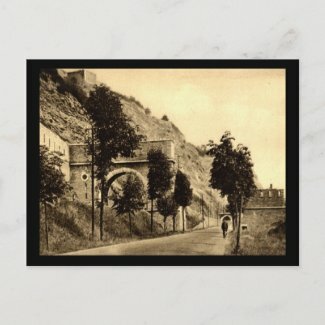 A reproduction of a vintage post card shows the Porte de France, Givet, France. This item is of archival quality, high resolution, it has been retouched, recolored in areas, cropped and enhanced. This assures that your item will print with the highest quality possible. Because this is a vintage image, there may be slight imperfections.